The most iconic, powerful, and original sermon ever give in insightfully opened up in this 12 Session study for individuals or groups. What does it mean to seek first the kingdom in our relationships, values, ambitions, finances and commitment to God? Jesus' answer to these questions amazed those who first theard the Sermon on the Mount. 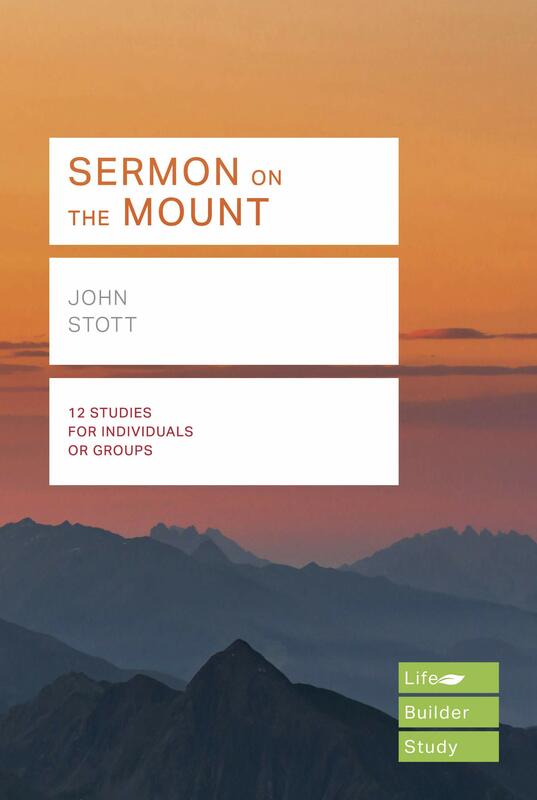 In this guide, John Stott amazes and challenges us by the greatest sermon ever preached. This revised Lifebuilder Bible Study features additional questions for starting group discussions and for meeting God in personal reflection, together with expanded leader's notes and an extra 'Now or Later' section in each study. There are twelve studies in this book that cover Matthew 5 to Matthew 7. Lifebuilder: Sermon On The Mount by John R.W. Stott was published by IVP UK in September 2018 and is our 2101st best seller. The ISBN for Lifebuilder: Sermon On The Mount is 9781783597895. Be the first to review Lifebuilder: Sermon On The Mount! Got a question? No problem! Just click here to ask us about Lifebuilder: Sermon On The Mount. A:There are twelve studies in this book that cover the entire sermon from Matthew 5 to Matthew 7.